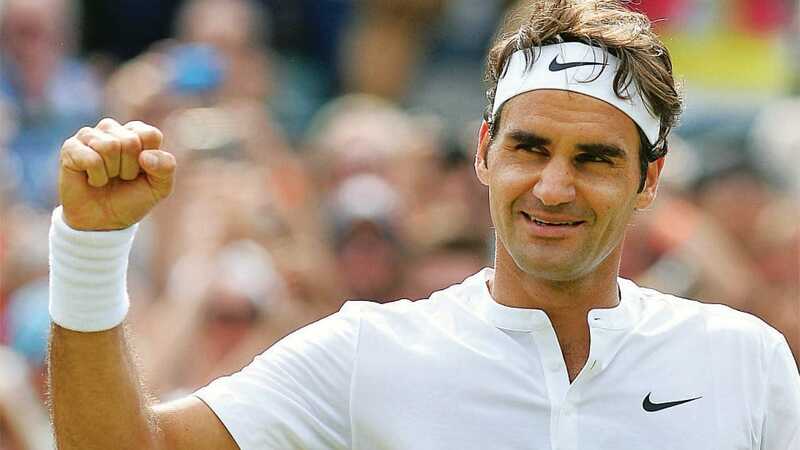 Roger Federer is one win from a historic eighth Wimbledon title after beating Czech 11th seed Tomas Berdych in straight sets in the semi-final. The Swiss, 35, won 7-6 (7-4) 7-6 (7-4) 6-4 to reach his 11th Wimbledon final, having last won the title back in 2012. He will face Croatia’s Marin Cilic after the seventh seed beat American 24th seed Sam Querrey 6-7 (6-8) 6-4 7-6 (7-3) 7-5 on Centre Court. Cilic, 28, is into his second major final after winning the 2014 US Open. Federer has already added to his lengthy list of achievements by reaching a record 29th Grand Slam final, becoming the second-oldest man to do so after the 39-year-old Ken Rosewall reached the 1974 Wimbledon final. Having waited five years to win his 18th major title at this year’s Australian Open, the Swiss could make it 19 just six months later. Federer had won his past seven matches against Berdych, and 18 of 24 in all, but the Czech made him work for number 19. There were just three breaks of serve over two hours and 18 minutes, two for Federer, who hit 53 winners to Berdych’s 31 in a high-quality contest. After dropping just one point on his serve as he eased 4-1 clear, Federer offered up two double faults that allowed Berdych to peg him back and earn a tie-break. Again Berdych came back from an early deficit to trail 4-3 but a forehand error returned the advantage and Federer capitalised to clinch the set. It was a blow for the Czech, but he fended off break points early in the second and kept pace with the seven-time champion. Federer needed to produce a magnificent dipping forehand winner to hold serve at 3-3, and it was the same shot that would dominate the second tie-break. Four brilliant forehands in a row gave the Swiss a 5-1 lead that proved enough for a two-set lead, and there was more magic off that wing in the third. Berdych saw a chance to extend the contest disappear when Federer saved two break points with successive aces before breaking in the next game. At 5-3, the Swiss produced a stunning forehand flicked pass that had the 15,000 spectators on Centre Court gasping, and moments later he served out victory in his 42nd Grand Slam semi-final.